Would you do the wine as well? Sorry, getting preachy! 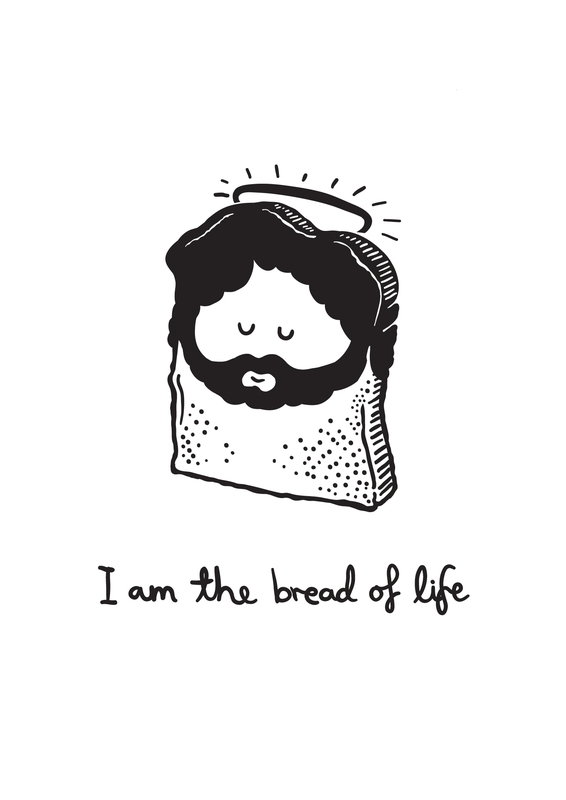 😀 But seriously, he is the bread if life! Thanks for visiting mate, if you have enjoyed my stuff all I ask is you have a serious think about what the cartoon stands for, you never know… you might find something you hadn’t seen before. Check out this guy! Le sue illustrazioni sono un pò “irriverenti” ..e non ho scelta quella che dice “Jesus letto al contrario suona un pò come salsiccia” o quella che indica con un triangolo nero a punta in giù con la faccia di gesù “la giusta via”. A good way to share the Good News with humour. 🙂 Blessing from France.